Have you ever wondered what home improvements add the most value? 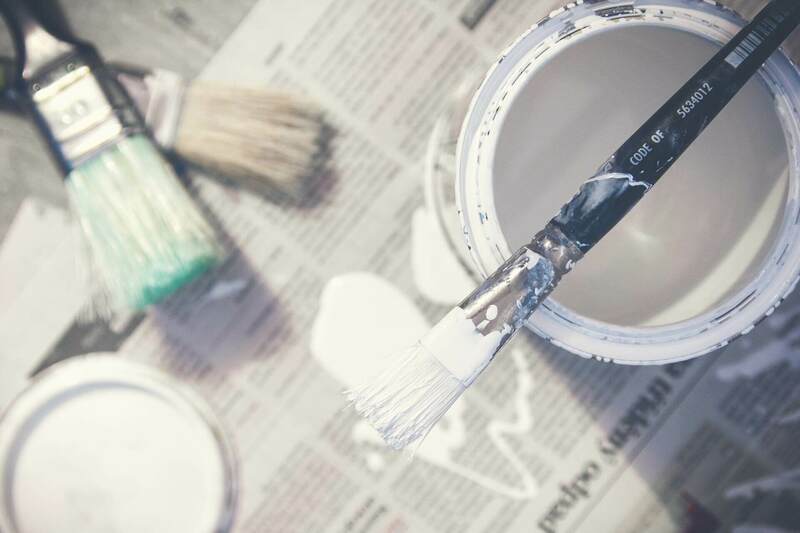 Whether you are planning on selling your home or just want to update it, we’ve put together a list of the 6 best home improvements to increase your home’s value. How to Increase Your Home Value When Selling — the Top 6 Ways! Make your home shine before you list it for sale, and spoiler … simple vacuuming and dusting just won’t do. Schedule some time to deep clean your home — either yourself or hire an expert! You’ve probably heard that kitchens and bathrooms can either make you the most money or cost you the most money during a home sale — and it’s true! We recommend making sure everything is in good or even great condition through small improvements that will help your kitchen and bathrooms feel modern and attractive. Home buyers usually look for stainless steel and appliances that match! Check reviews of appliances before purchasing new so you know you’re buying a trusted brand that a buyer would appreciate. Give your kitchen a simple and inexpensive update by installing a new tile backsplash, changing out cabinet hardware and giving walls or cabinets a fresh coat of paint. In the bathroom, your money is best spent changing out sink and shower fixtures. You’ll also want to make sure caulk and grout are clean and in proper working condition. Additional upgrades like new lighting fixtures, towel bars and mirrors will give your bathroom a spa-like feel to boost your home’s value. It may be comforting to know that some of the best home improvements that add value can be done with your own two hands and some elbow grease! Try to complete a few small updates on your own that won’t break the bank but will definitely make an impact on your home’s value when you go to sell. New, modern window treatments and fresh paint, preferably in a neutral color like white or gray, are improvements you can likely accomplish yourself in a weekend. Are your light switch and outlet covers discolored or cracked? Head to your local hardware store for inexpensive replacements. Small DIY home improvements like these can make a big difference when potential buyers tour your home! Don’t forget to up the curb appeal of your home to make it look inviting to prospective buyers! Work with existing landscape features first by trimming shrubs and trees and adding new mulch where needed. If your yard lacks greenery, buy potted shrubs and plants that will add interest and a pop of color around the entrance of your home. Wash siding, windows and shutters, and clean gutters of debris for a sparkling finish that can be seen from the street! Want to really have fun with color and add curb appeal? Go bold and paint your front door a bright red. If you’re wondering what home improvements truly add the most value, you may be excited (or intimidated) to hear that finishing your basement is high on the list! No matter your feelings on it, completing an unfinished basement is worth the investment if you are trying to increase your home’s value for an appraisal. To get the most value out of a basement improvement, make the space comfortable and inviting. Framed walls that are insulated and finished with sheetrock (rather than paneling or painted block) are the way to go. Choose a soft laminate or plush carpet to make the basement feel cozy. Bring in more light by installing egress windows. If you have the space, create an extra bedroom, which will further increase your home’s value. Staging is one of the most important tools for selling your home quickly. After all, the tour is what makes up a buyer’s mind — so your home must be looking its absolute best! What drives a buyer away faster than an unfinished basement? Well-worn furniture, decor and items that may be cluttering up your home can cause your rooms to look small and leave buyers feeling cramped. Help your potential prospects fully appreciate the home you’ve come to love by storing your faded furniture and unnecessary decor. Simplifying your furniture and accents will make your home feel spacious and inviting which will help you turn your “For Sale” sign into a sold home! Call or email one of our three west Boston locations and we’ll help you find the perfect storage solution for your excess furniture!